On Saturday, we headed out to the Kettle Moraine State Forest-Southern Unit to hike the Scuppernong Springs Nature Trail. The parking lot requires a state parks pass or daily pass purchased across the street at the Ottawa Lake office. 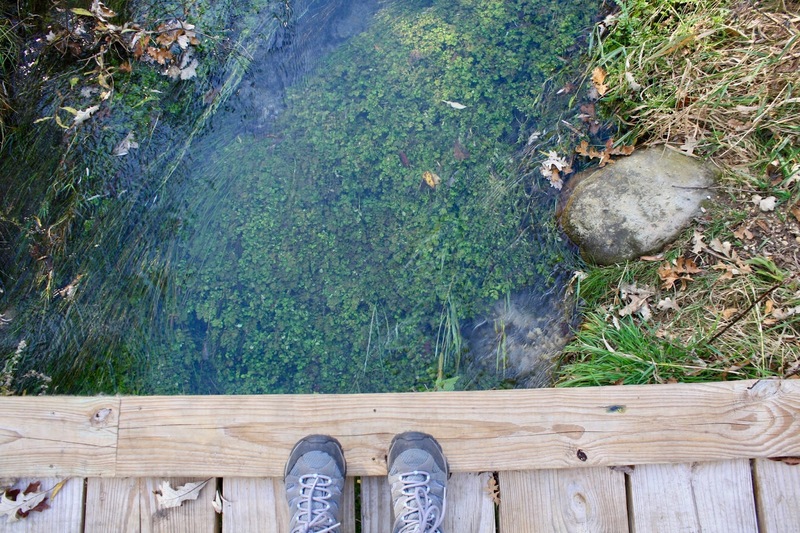 We ventured into the woods and walked about 10 or 15 minutes until we spotted some springs! I could not believe how clear the water was. Being silly on one of the docks above the springs. Those round areas are all springs bubbling underneath the water. Amazing! Hey, I was trying to capture a selfie! The remains of Hotel Springs. The Scuppernong Spring itself was the largest. I took a little walk down to the water to touch the healing mineral water. This is the view near Indian Springs, where arrowheads were found by archaeologists. We were surprised to see a building off in the distance towards the end of our hike. It was an old marl factory and now home to lots of graffiti. Craig spotted this and knew I'd like it. Very timely. We were also surprised to see railroad tracks on the trail. They hauled the marl out of there back in the early 1900s. What a beautiful fall day to hike! I highly recommend this trail for something different in Southeastern Wisconsin. I've got some great books to recommend and share with you today. Three of the five books I've read recently were just in the last week and that is because I liked them so much that I couldn't put them down. The book club I belong to picked this title. We just had our discussion the other night and reviews were pretty mixed. Some loved it and others, like me, didn't care much for it. I gave it a three out of five stars on Goodreads. Parts of it were great and read quickly and others dragged on. 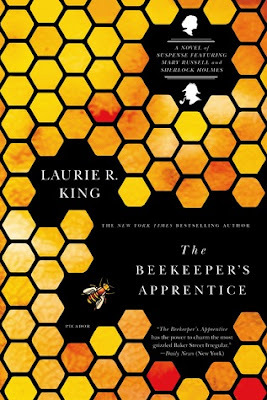 When members of my book club pointed out that this was the first book in a series, that helped me see why some chapters or scenes were presented in the way they were and approach the title a little more positively. Overall, I didn't love the writing style and probably will not continue to read books in the series because there are just so many other things I would rather be reading! Things I did love: the main character, Mary Russell, is a strong female who is smart and independent. I enjoy mysteries, so some parts were pretty thrilling to read. I liked the two settings of England and Palestine because I always have wanderlust and books like this let me armchair travel to places. I'm a big fan of Anne Bogel's podcast "What Should I Read Next?" and was excited when she announced the release of her book. 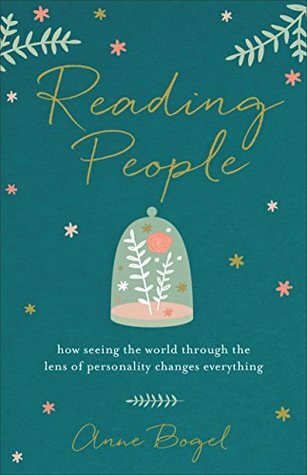 This is one of two personality books I read in the past month. I thought the writing was excellent and I read the book in about a day, so I was obviously engrossed enough in the topic to want to keep reading. I literally kept seeing this title everywhere before I picked it up. 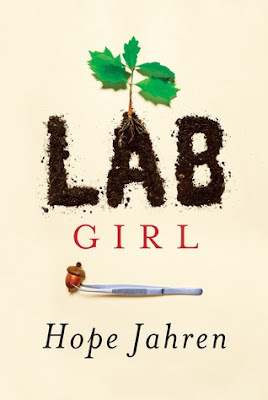 Since I have been focusing on reading about strong women this year, I thought a book about a female scientist was perfect to add to my 2017 list. Hope Jahren starts out her book by chronicling her Minnesota upbringing and then takes the reader into her work life. She talks about the difficulties in her line of work, the research itself, throws in a few fun travel stories, family life, and her unique relationship with her lab partner Bill. I thought this book was well written and offered a different perspective. I'd highly recommend it! 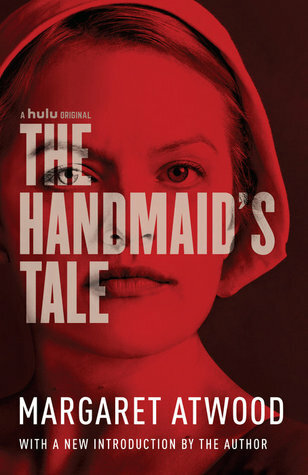 The Handmaid's Tale is easily one of the best books I have read this year. I am so sorry I didn't read it sooner. If you haven't read it yet, what are you waiting for? I think the Hulu release of this really exposed me to the title and intrigued me. I wanted to read the book before I watched the Hulu version, which I still have yet to do. Atwood's writing was compelling enough for me to pick it up for hours at a time during the course of two days. In her forward written in early 2017, so talks about it being a timely subject now and I couldn't agree more. It addresses feminism, sexism, dictatorship, a patriarchal society, race relations, religion, and more in a dystopian society. I love Gretchen Rubin's books and knew a lot about this new topic thanks to her podcast. 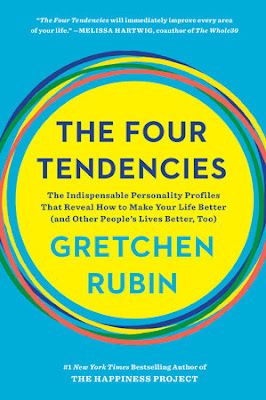 I received a review copy through Blogging for Books and looked forward to learning more about the four tendencies outlined and researched by Rubin. 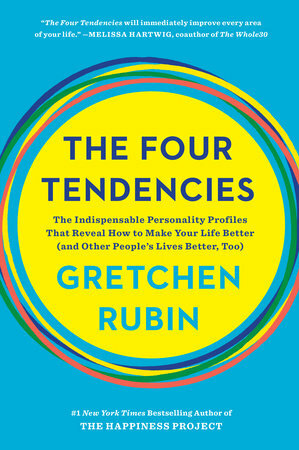 Unlike other personality framework books, Rubin's approach is unique in that she wondered how people responded to expectations in different ways and categorized them from that approach. She outlines the following four tendencies: Upholder, Obliger, Questioner, and Rebel. My husband questioned (I knew he was a questioner right away) the validity of books like this one and I think the following quote sums it up well: "We may think we know the 'best' way, or the way others 'should' work, but whether at home or at work, as long as the tasks are getting done, we should let other people suit themselves. We get along best with others when we recognize and respect that they might approach the world in a different way." I took the tendency quiz online and found out I am rare Upholder who readily meets inner and outer expectations. That makes sense, but I thought I might lean a bit more towards the Questioner since I tend to behave that way in the work environment. While reading those two sections, I thought I could be an Upholder-Questioner since some of the Questioner behaviors are ones I exhibit in the workplace (I tend to question processes and systems and want to improve them). I really liked the layout of the book and learning more about the different types of tendencies. I could picture the behavior of people in my life and where they fell in the framework. I think this book is great for everyone to read, but especially managers, parents, and teachers! Blog readers--what have you been reading lately? Craig and I are trying to use less waste, which includes plastic cleaning bottles. Thanks to Grove Collaborative, you can join us in our new challenge! Creating a green cleaning kit is easy and affordable. I feel good about using reusable glass bottles for my favorite products and DIY recipes, knowing I’m not adding more plastic bottles to landfills. 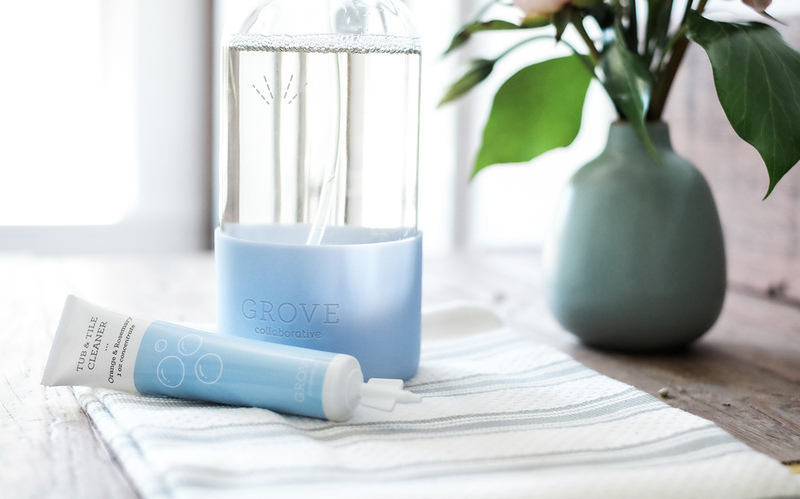 Plus, this colorful Grove spray bottle adds a dose of style to your cleaning routine! I love that they added a silicone sleeve to keep it from slipping out of your hand. Concentrated products create less shipping weight and less waste. Each 1 oz. Grove concentrate creates 16 oz. of product — just dispense it into your spray bottle, add water and start cleaning. I switched from paper towels to microfiber cloths for cleaning. You can throw them in the washing machine when you’re done, and they’ll last for years! All-purpose cleaner can replace a shelf full of products. Grove all-purpose concentrate works on countertops, appliances, sinks, backsplashes and more. Did you know glass cleaner can do more than windows? 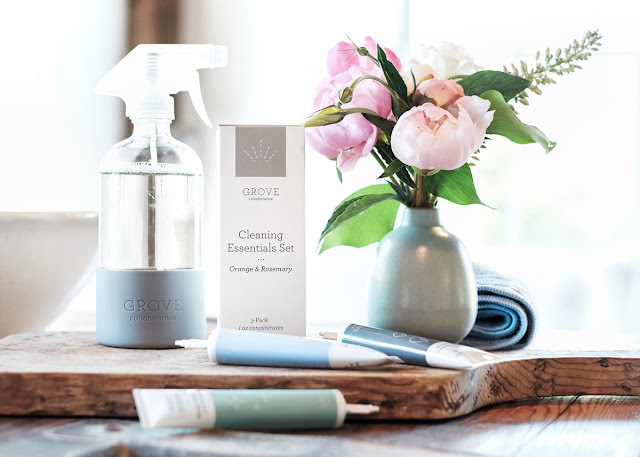 Use your Grove glass cleaner concentrate to get grime off windowsills and clean dusty light fixtures. Curate your cleaning kit by choosing gorgeous products in complementary scents. These Grove concentrates come in a heavenly orange & rosemary scent that works in any room. I’ve found that purchasing products from Grove Collaborative not only saves me time, it’s also more affordable. Grove hand-selects the best natural products and delivers them right to my doorstep. Bonus tip: Once you’ve submitted your Grove order, you’ll be signed up for the free 60 day VIP trial. For 60 days, you’ll save even more with free shipping, free gifts, price matching, exclusive sales and personal service. Already a Grove Collaborative customer? Click here. Here's a snapshot of the last couple of weeks! My little morning snuggler. He loves cuddling with me while I drink my coffee and relax in the sun. This wasn't quite as pear flavored as I expected, but it was still good. Playing with the fun instagram filters! My favorite lunch lately: quinoa, kale, jalapenos, chickpeas, red peppers, nutritional yeast, and Annie's goddess dressing. Started the next selection for our book club! It's pretty good and I am hoping to finish it this weekend. Amazing vegan and vegetarian food at a retreat we attended. I ate so well that weekend because everything was fresh and tasty. Got super scared at It. I enjoyed it, but Craig didn't. Hold pickup day at the library. I also hope to start the top two soon. Always too many books and so little time! A pretty sunset captured in downtown Waukesha. We finally ate on the rooftop at Taylor's People's Park restaurant! I ordered a blood orange margarita. Oh my god if you see this in the store, buy it. Checked out the parade of homes houses with my friend and her daughters. And then we visited the cute froggies in a pond near her new house! Doors Open Milwaukee with mom! This is City Lights Brewing Company. They offered free beer during the weekend. So sweet! We had Oktoberfest and it was tasty. We also visited ancestors at Cavalry Cemetery and their chapel. 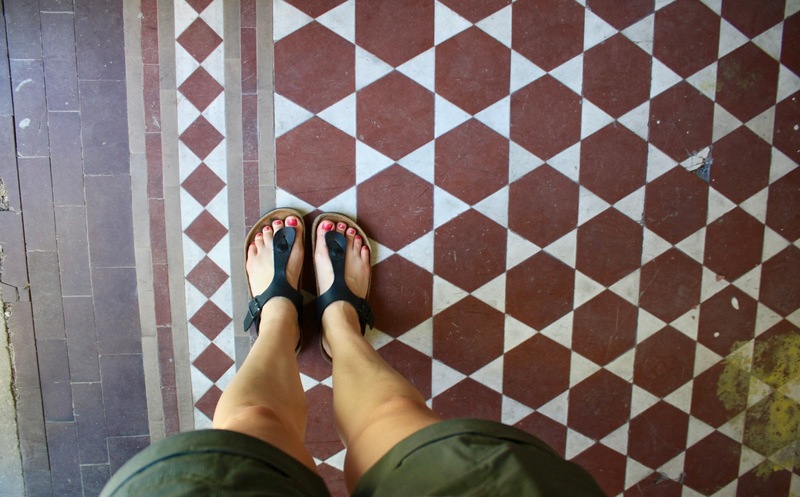 I liked the chapel floors. Is that you Pema? Spotted this at Total Wine. 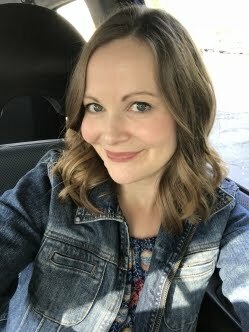 Thanks to Carrie, I tried some Arbonne skincare out! I finally ordered skincare products and a beautiful foundation from Organic Bunny. Once I have used the products for a while, I'll include a formal review on the blog. We saw Stephen and Owen King speak on Saturday night! We were pretty far away, so my photos aren't the best. We received copies of their new book on our way out. Sadly, neither Craig nor I got a random signed copy. Reading outside at our new patio table I picked up on clearance for $29!